The Muskoka Arts & Crafts 38th Annual Spring Members’ Show takes place March 27-29. 2015 at the Bracebridge Sportsplex. Each member can enter 3 pieces of art. I’ve chosen, Puppy Love – The Only Love That Come Between Us and The Red Canoe as two of them. My third is a creation painted for the Muskoka Conservancy’s theme – Muskoka Woodlands. Having hiked and photographed the beautiful paths around Bracebridge, I decided to paint a subject many never notice. Here in Muskoka, Cedars grow in abundance. 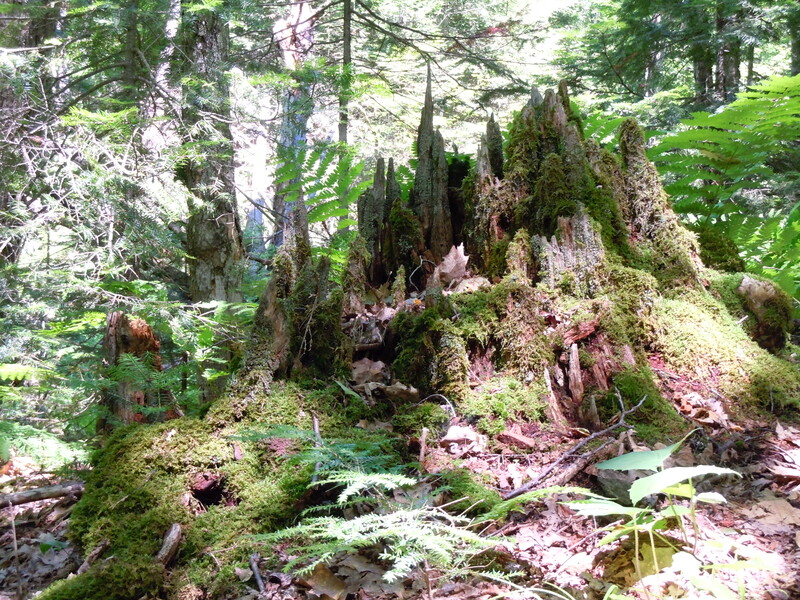 When they age-out and fall to the ground, the remaining stumps continue to decay as they provide nutrients to feed tree saplings that shoot up around them. But before this transition occurs, they create magical structures that stir my imagination. I visualize a kingdom of elfin creatures living within these moss-covered towers of greying wood. Here are photos of just three of them. Each architectural wonder is unique which adds to their mystery. 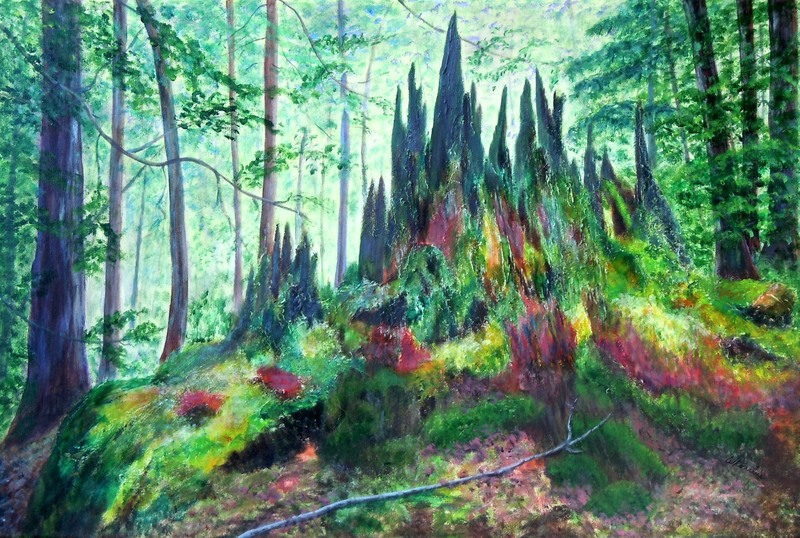 With these images serving as my inspiration, I painted, Forest in Transition – my third entry into the spring art show. Feedback is always welcome! If you are looking for a great place to spend a few hours next weekend, please stop by the show.. Here are the details. Please visit www.wendiedonabie.com to view more of my art! Thanks so much… I really appreciate your feedback!